Full Rental $10.00. Must purchase ammunition from A & S Indoor Pistol Range. Quick Rental $10.00 - $15.00. 10 rounds of ammunition included. You must be 21 or older to use the Range. An adult must accompany anyone under 21. No center-fire high-power rifles allowed. 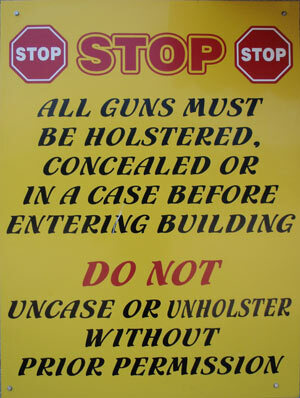 Firearms being carried to and from the firing line must be unloaded and carried in a safe manner, in a gun box or bag or a concealed holster. Consider every firearm loaded until you have opened the firearm and checked it yourself. Never trust your memory or another person’s word. Never load a firearm until you are within the shooting booth, with the muzzle pointed down Range. Never point a firearm at anything you don’t intend to shoot. Shoot only at your own target. Shooting at anything else (light baffles, target hangers etc.) will result in loss of Range use or membership. In case of a misfire, keep the firearm pointed down Range for at least 30 seconds. After waiting, clear the firearm and check the barrel for obstructions. Eye & ear protection will be worn by shooters & anyone observing in the Range. Carelessness or thoughtlessness will not be tolerated. The strictest discipline must be observed in the Range to prevent accidents or injuries. All shooters must register at the Range desk before entering the Range. Shooters may pick up only their brass that lands on the vinyl flooring near their shooting lane. No brass can be removed from in front of the firing line. No food or drinks allowed in the Range. No smoking. A maximum of two individuals will be permitted per one shooting lane. Only one person is permitted to shoot at a time. The non-shooting individual must stay in the same area as the shooter. No quick draw from holster. No kneeling down to shoot. No shooting from under the booth tray. NO ONE IS PERMITTED BEYOND FIRING LINE. All safety rules are enforced and must be obeyed for the benefit of all. Violation of any of the rules may result in loss of Range use or termination of membership. If you are unsure about anything, ask the Range Officer.